Visual Studio Code>Programming Languages>vscode-svgtsNew to Visual Studio Code? Get it now. This extension adds svg browsing / module generation / exporting features to VS Code. 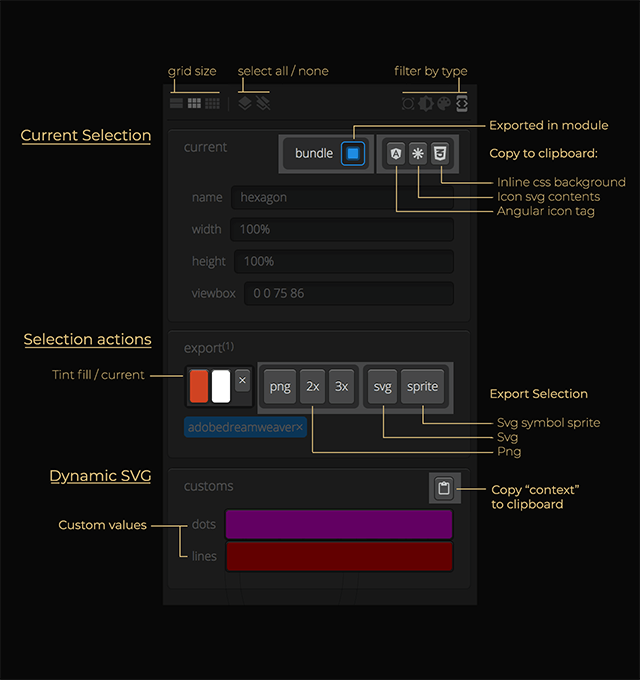 It serves as a UI tool for the svg2ts cli utility. This extension adds svg browsing / module generation / exporting features to VS Code. 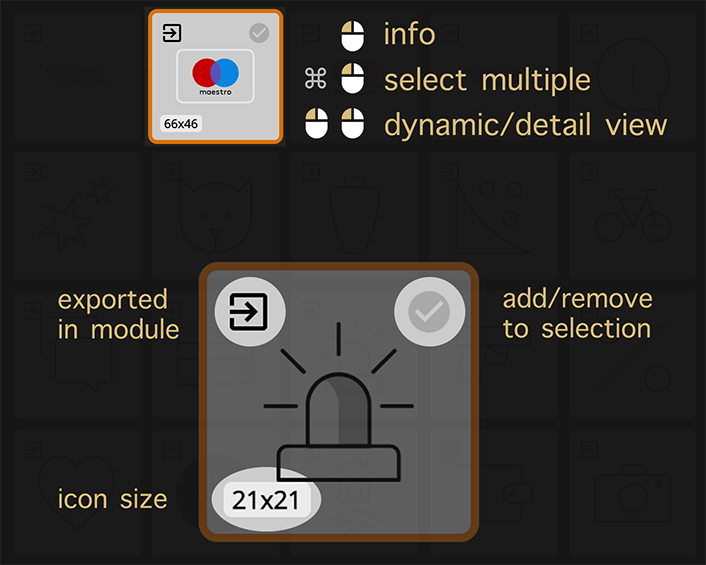 It serves as a UI tool for the svg2ts cli utility. Install and open Visual Studio Code. Press Ctrl+Shift+X or Cmd+Shift+X to open the Extensions pane. 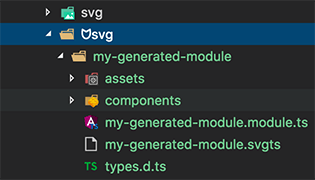 Find and install the vscode-svgts extension. You can also install the extension from the Marketplace. The main purpouse of this extension is to manage svg2ts .svgts generated files. To preview or manage this kind of file click on it, the extension will open.